For other places with the same name, see Naples (disambiguation). “ See Naples and die! "Vide Napule e po' muore!" —A famous proverb, saying that one can die peacefully after seeing the unparalleled beauty of Naples. Famously quoted by Johann Wolfgang von Goethe in his travel diary Italian Journey. 40.85299314.2494071 Info Turismo Napoli, Via San Giuseppe dei Nudi, 82 (Museo 1 2 ), ☎ +39 380 145 1379, toll-free: +39 800 134 034, fax: +39 081 447 264, e-mail: ufficiocomunicazione@infoturismonapoli.com. 08:30-20:00. The main tourist information point in the historic centre, few steps from the National Archaeological Museum, with an helpful multilingual staff. 40.878214.28281 Naples International Airport (Aeroporto Internazionale di Napoli) (NAP IATA, also known as Capodichino Airport). Works for connecting the airport to Naples Metro system are expected to be completed in 2020, but it is not yet served by any rail system. The main station in Naples is 40.852914.27252 Napoli Centrale 1 2 , situated at Garibaldi square and connected to the city's subway system. It's a rather large area with multiple substations (platform groups). Plan 10 minutes reserve if you go there for the first time, so that you find your train in time. Under the same roof, a few hundred meters south-east, there's the Piazza Garibaldi station - here you can catch local and regional Circumvesuviana trains. West of the main station platforms, and few escalators down, is the entrance to subway Line 1. Some of the trains (e.g. towards Caserta) also share the platforms with Line 2. The entrances/substations for the individual lines are signposted visibly. However, the info tables at the substations only show the lines departing from the local platforms. So if you are at the wrong substation, you won't see your train time/platform info at the tables - and need to continue searching. From around the station, the bus routes Alibus, R2 and 151, the tram route 1 and the metro Line 1 will take you within three blocks of the ferries at Stazione Marittima. A massive new high-speed railway hub, 40.93172214.3305763 Napoli Afragola, has been built about 12 km north of the city centre. Some high speed trains running between Rome and points south of Naples will bypass the city centre and only use this station. Local trains call here as well, meaning that central Naples is just an easy interchange away if yourself arriving here. , a large terminal in the city center, near Piazza Municipio. , connecting Naples to the Adriatic coast of northern Apulia. Due to traffic jams and parking shortages in the city center, it's advisable to leave your car in a parking lot near the motorway exit or your accommodation, and to use public transportation to visit the city. Many national and international private bus services operate in Naples, generally stopping at Piazza Garibaldi or Piazza Municipio. A new 40.8511514.2751935 bus terminal 2 has been created south of the central railway station, where 42 different bus companies stop their means of transport. Some of these provide links also from northern and eastern Europe.
. Founded in 1889, the former Circumvesuviana railway operates from its own terminal station of 40.849214.26936 Napoli Porta Nolana. All routes pass through the underground station Piazza Garibaldi (which connects to Napoli Centrale and city subway) before splitting into 6 branches to towns in the eastern part of the province. An interesting route goes from Naples to Sorrento in about one hour, with several stops in between, including Pompei Scavi (from where it is an easy foot walk to the main entrance to Pompeii ruins) and Ercolano (Herculaneum). A second route travels around the northern flanks of Mt. Vesuvius and on to Sarno. Other routes go to Acerra, Nola and Baiano.
. The Rainbow Line, thus called because of the characteristic colors of its stations, also known as Linea Metropolitana EAV since the merger in 2012, starts from station Napoli - Piscinola, where it connects with Line 1 of the underground subway. It's a 10.5-km-long, totally underground journey, which connects the northern suburbs of Naples, passing though Mugnano, Giugliano and Aversa. 40.8492814.254891 Cappella Sansevero. A chapel built in 1590, it contains sculptures and other works of art by some of the leading Italian artists of the 18th century, like the extraordinary Veiled Christ by Giuseppe Sanmartino. It also has a high scientific interest because it hosts the anatomical machines, a still mysterious experiment by Raimondo Di Sangro, a prominent Renaissance scientist. In addition, in the basement there are two human vein models, looking like plastination. Because of the small size, the waiting queue may be longer than at other attractions in Naples. €9 (reductions available). 40.835314.24752 San Francesco di Paola (Municipio 1 ). One of the main churches in Naples, it's at the west side of Piazza del Plebiscito, the city's main square. The place was planned by King Joachim Murat of Naples (Napoleon's brother-in-law) as a tribute to the emperor. When Napoleon was dispatched, Ferdinand I of Bourbon continued the construction but converted the final product into the church one sees today. The church is reminiscent of the Pantheon in Rome. The façade is fronted by a portico resting on six columns and two Ionic pillars. Inside, the church is circular with two side chapels. The dome is 53 metres high. 40.84762214.2518033 Gesù Nuovo, Piazza Gesù Nuovo (Dante 1 ), ☎ +39 081 557 8151. M-F 07:00-12:30 and 16:00-19:45. The Church of Gesù Nuovo (New Jesus) was built in 1470 as a palace for Roberto Sanseverino, Prince of Salerno. The Jesuits had already built a church in Naples, now called Gesú Vecchio. Political intrigues caused the property to be confiscated, and eventually sold in the 1580s to the Jesuits to construct a church (1584–1601) under architect Giuseppe Valeriano. The unusual façade, unusually plain for a Baroque style church, is of rusticated ashlar and is the original façade of the palace. The church contains masterpieces of some of the most notable Neapolitan artists, namely Belisario Corenzio, Paolo de Matteis, Francesco Solimena, Giovanni Lanfranco and Massimo Stanzione. 40.84873114.2544074 San Domenico Maggiore, Piazza S. Domenico Maggiore, 8A, ☎ +39 081 459 188. 10:00-19:00. One of the most prominent churches of Naples. This Gothic church (est. 1283) incorporates a smaller, original church built on this site in the 10th century, San Michele Arcangelo a Morfisa. The monastery annexed to the church has been the home of prominent names in the history of religion and philosophy. It was the original seat of the University of Naples, where Thomas Aquinas, a former monk at San Domenico Maggiore, returned to teach theology in 1272. As well, the philosopher monk, Giordano Bruno, lived here. The sacristy houses a series of 45 sepulchres of members of the royal Aragonese family, including that of King Ferdinand I. Church: free, monastery: variable. 40.84661114.2528335 Santa Chiara, Via Santa Chiara, 49 (Dante 1 ; facing Gesù Nuovo), ☎ +39 081 797 1224, e-mail: amministraziones.chiara@gmail.com. M-F 09:30-17:30, Sa Su 10:00-14:30. A religious complex which includes the Church of Santa Chiara, a monastery, tombs, and an archaeological museum. The double monastic complex was built in 1313-1340 by Queen Sancha of Majorca and her husband King Robert of Naples. The original church was in traditional Provençal-Gothic style, but was decorated in the 1744 century in Baroque style by Domenico Antonio Vaccaro. Santa Chiara was the largest Clarissan church ever built, and it was the first Clarissan church built where the nuns in their choir would have been able to view the performance of Mass. The bell tower, separated from the main edifice, was begun in 1328 but was completed only in Renaissance times. The simple interior houses the tomb of King Robert and, in the side chapels, those of the Bourbon king of Naples, Francis II and his consort Maria Sophie of Bavaria, as well as of Queen Maria Christina of Savoy and of the national hero Salvo d'Acquisto (a carabiniere who sacrificed his own life to save the lives of 22 civilian hostages at the time of the Nazi occupation). Famous is the cloister of the Clarisses, transformed in 1742 by Vaccaro with the addition of precious majolica tiles in Rococò style. The Nuns' Choir houses fragments of frescoes by Giotto. 40.8525714.259516 Naples Cathedral (Duomo di Napoli, Cattedrale di Santa Maria Assunta or Cattedrale di San Gennaro). Built in the 18th century, it is the main church of Naples. It is widely known as the Cattedrale di San Gennaro, in honour of Saint Januarius, the city's patron saint. It was built on the foundations of two palaeo-Christian basilicas, whose traces can still be clearly seen. Underneath the building, excavations have revealed Greek and Roman artifacts. The Cathedral is famous for Miracle of the Blood, a recurring miracle taking place on the first Saturday of May and September 19th every year. During the ritual an ampull containing the old dried out blood of Saint Januarius is brought out and stirred; and miraculously liquefies. 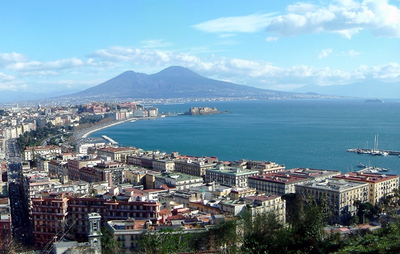 According to legend, disaster will befall Naples if the blood fails to liquefy. 40.85017514.2576367 San Gregorio Armeno, Via San Gregorio Armeno, 1, ☎ +39 081 552 0186. M-Sa 09:00-12:00, Su 09:00-13:00. The church was completed in 1640, in honor of Saint Gregory of Armenia and it represents, along with the adjacent monastery, one of the most relevant Baroque complexes in Naples. The interior is decorated with 52 frescoes by Luca Giordano, and it is characterized by a single nave with five side arcades and chapels, in an impressive triumph of Baroque decorations. Free. 40.846814.26768 Santa Maria del Carmine Maggiore, Piazza del Carmine, 2, ☎ +39 081 201 196, e-mail: info@santuariocarminemaggiore.it. One of Naples' main churches, related to important historical events of the city and its kingdom, such as Masaniello revolt and the executions happened during the five months existence of Parthenopean Republic (1799). The interior is a true triumph of Baroque decorations including polychrome marbles, stuccoes and a magnificent gilded ceiling. The basilica is located in Piazza del Carmine, few steps away from Piazza Mercato and Via Marina and it's recognizable by the 75 metres high bell tower, with a characteristic onion dome. Free. 40.82802614.2477989 Castel dell'Ovo (Egg Castle), Via Eldorado, 3, ☎ +39 081 795 4592, e-mail: casteldellovo@comune.napoli.it. M-Sa 09:00-18:30, Su 09:00-14:00. The oldest castle of the city, located on the former island of Megaride, now a peninsula, on the Gulf of Naples. The castle's name comes from a legend that the Roman poet Virgil (who had a reputation in medieval times as a great sorcerer) put a magical egg into the foundations to support them. The island of Megaride was where Greek colonists from Cumae founded the nucleus of the city (Palepolis) in the 6th century BC. In the 1st century BC the Roman patrician Lucius Licinius Lucullus built the magnificent villa Castellum Lucullanum on the site. The first castle on the site was built by the Normans in the 12th century. Free entry. 40.838314.253210 Castel Nuovo (New Castle), Via Vittorio Emanuele III (Municipio 1 ), ☎ +39 081 795 7709. M-Sa 08:30-19:00. Often called Maschio Angioino, it is a medieval castle and the main symbol of the architecture of the city. It was first begun in 1279 by Charles I of Anjou and completed three years later. Castel Nuovo soon became the nucleus of the historical center of the city, and was often the site of famous events. For example, in 1294, Pope Celestine V resigned from the Papacy in a hall of the castle. The event was depicted by Dante Alighieri in his masterpiece la Divina Commedia, in the verse Colui che per viltade fece il gran rifiuto. 40.85326914.26415811 Castel Capuano, Piazza Enrico de Nicola, 2, ☎ +39 081 223 7262. 09:00-18:30. The second most ancient castle of Naples after Castel dell'Ovo, built in 12th century by the Normans over a necropolis for use as a royal palace. It was then used as a residence for distinguished visitors such as Francesco Petrarca, and also as site for royal weddings and ceremonies. In 1503 it became the seat of city's courthouse for almost half a millennium, until the year 1995. Its name derives from its proximity to the road that led to Capua. 40.84381514.23900512 Castel Sant'Elmo (Morghen Centrale , then a five minutes walk). A huge, imposing hilltop medieval fortress, providing outlooks to the surrounding city and hosting a small art gallery. 40.84333314.2412413 Certosa e Museo di San Martino (adjacent to the castle). A former monastery complex, now a museum. It is the most visible landmark of the city, perched atop the Vomero hill that commands the gulf. A Carthusian monastery, it was finished and inaugurated under the rule of Queen Joan I in 1368. In 1623, it was further expanded and became, under the direction of architect Cosimo Fanzago, essentially the structure one sees today. In the early 19th century, under French rule the monastery was closed and was abandoned by the religious order. Today, the buildings house a museum with a display of Spanish and Bourbon era artifacts, as well as displays of the presepe (Nativity scene) considered to be among the finest in the world. 40.839414.2300514 Villa Floridiana and Museo Nazionale della ceramica Duca di Martina (bus 128 to "Falcone"). A large, quiet park with beautiful panoramic views, surrounds a neoclassical villa which hosts a large ceramic collection from different parts of the world. 40.834914.233515 Villa Pignatelli (Parco Margherita Chiaia , then walk a few blocks.). A former luxurious residence and a small park. Also a quite interesting museum of horse carriage vehicles and other horse equipment. 40.810214.202416 Posillipo (Mergellina 2 6 ; then walk downhill to Via Mergellina and take bus 140). (Pusìlleco in Neapolitan) A district of Naples on the northwestern part of the town. The Greeks first named this place Pausílypon (meaning "respite from worry") due to the enchanting calm of the shore. There are Roman ruins at water's edge, remains of the residence of Vedius Pollio. The area contains some notable historical buildings and landmarks. Among these is the Palazzo Donn'Anna and Villa Rosebery, the Italian President's residence during his stays in Naples. 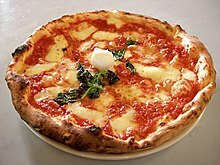 40.83844114.24948217 Galleria Umberto I (Municipio 1 ). A public shopping gallery that is directly across from the San Carlo opera house. It was designed by Emanuele Rocco, who employed modern architectural elements reminiscent of the Galleria Vittorio Emanuele II in Milan. The Galleria was meant to combine businesses, shops, cafes and social life — public space — with private space in the apartments on the third floor. 40.5007714.14468821 Galleria Borbonica, Vico del Grottone, 4/Via D. Morelli, 61, ☎ +39 081 764 5808, e-mail: mail@galleriaborbonica.com. A tour of an old tunnel that connects the palace to military barracks, used as a bomb shelter in World War II. 40.8641814.24762422 Catacombe di San Gennaro (Take bus to Capodimonte e.g. from Museo.). M-Sa 10:00-17:00 (last admission), Su 10:00-14:00. An extensive, two floor catacombs area restored and maintained by a few dozen local-patriots. Misc. tombs, frescoes, mosaics, etc., are shown. 40.859914.24923 Catacombe di San Gaudioso (On the way to San Gennaro, jump off at the bridge and take elevator in the middle of it. Also possible to exit right from the San Gennaro chapel and walk down the street.). 10:00-13:00 (last admission). A catacombe area where macabre ritual of "draining" was performed. A few remains of skulls in the walls, parts of skeletons and wall paintings are shown. Also the history of the "upstairs" church is shortly showcased. 40.83008314.21772124 Tomb of Virgil, Parco Vergiliano (Mergellina 2 ). One of the greatest Latin poets, author of the Aeneid. 40.8543314.2654425 Porta Capuana, Piazza Enrico de Nicola (in front of Castel Capuano). Ancient city gate built in 1484, during the Aragonese rule, it represents one of the few visible remains of the medieval walls of Naples. It consists of an arch of white marble decorated with various bas-reliefs, between two impressing cylindrical towers made of igneous rock. During the first half of 20th century the square around the gate was a meeting point for artists and intellectuals. 40.8296714.25008126 Fontana del Gigante (Fountain of the Giant), Via Partenope (promenade corner). One of the most beautiful fountains of the city, made in the beginning of 17th century by Pietro Bernini, father of the more famous Gian Lorenzo. It was originally located beside the Royal Palace, close to the statue of a giant and then moved on the promenade. It is composed of three round arches topped by coat of arms and decorated by various statues. 40.85337814.25048627 Naples National Archeological Museum (MANN), Piazza Museo, 19 (Museo 1 2 , Cavour 2 ), ☎ +39 081 442 2149. W-M 09:00-19:30. The most important Italian archaeological museum about Roman civilization, it contains a large collection of Roman artifacts from Pompeii, Stabiae and Herculaneum. The collection includes works of the highest quality produced in Greek, Roman and Renaissance times. €13, free on the first Sunday of month. 40.86700614.25053328 Royal Palace and National Museum of Capodimonte, Via Miano, 2, ☎ +39 81 749 9111. 08:30-19:30. Hosts paintings from the 13th to 18th centuries, including major works by Simone Martini, Raphael, Titian, Caravaggio, Masaccio, Sandro Botticelli, Lorenzo Lotto, Giovanni Bellini, Giorgio Vasari, El Greco, Jacob Philipp Hackert. It also hosts the works of the most important Neapolitan painters, like Jusepe de Ribera, Luca Giordano, the Neapolitan Caravaggisti. €7.50, €6.50 after 14:00. 40.85533814.25865529 Museum of Contemporary Art Donnaregina (MADRE), Via Luigi Settembrini, 79 (Cavour 2 ), ☎ +39 081 197 37254, e-mail: info@madrenapoli.it. M W-Sa 10:00-19:30, Su 10:00-20:00. Very nice museum for contemporary art, with a permanent collection and temporary exhibitions. €7, free entry on Mondays. 40.8490114.260730 Museo Civico Filangieri, Via Duomo, 288. Large collection of artworks, coins, and books donated to the city by Prince Gaetano Filangieri. 40.85188414.2583931 Complesso monumentale dei Girolamini, Via Duomo, 142. Ecclesiastic complex comprising a a gallery of paintings, a cloister, a library of thousands of ancient manuscripts, and a baroque church. €5 with reductions, free on first Sunday of the month. 40.836814.236932 Palazzo delle Arti (PAN), Via dei Mille, 60 (Piazza Amedeo 2 ), ☎ +39 081 795 8651, e-mail: pan@comune.napoli.it. M W-Sa 09:30-19:30, Su 09:30-14:30. A civic museum born as a public exhibition center for the civic collections of arts, and to host art and culture events organized by the City of Naples. Free entry. 40.821714.320533 National railway Museum of Pietrarsa (Museo nazionale ferroviario di Pietrarsa), Via Pietrarsa (Pietrarsa-S. Giorgio a Cremano FS station), ☎ +39 081 472 003, e-mail: museopietrarsa@fondazionefs.it. A museum housed in the ancient 19th century's Bourbon Factories, along the route of the first railway in Italy: the Napoli-Portici line. Here is possible to admire a large variety of rolling stock like steam locomotives and different periods' carriages. 40.8361914.24956535 Royal Palace (Palazzo Reale), Piazza del Plebiscito (Municipio 1 ), ☎ +39 081 580 8111, e-mail: pm-cam.palazzoreale-na@beniculturali.it. Tu-Su 09:00-20:00. One of the four residences used by the Bourbon Kings of Naples during their rule of the Kingdom of Two Sicilies (1730-1860). The Royal Palace is on the site of an earlier building meant to host King Philip III of Spain, who however never made the trip. The architect chosen for that palace was Domenico Fontana. The building was put up on the site of an even older Spanish viceroyal residence from the early 16th century. The 17th-century palace visible today is the result of numerous additions and changes, including some by Luigi Vanvitelli in the mid-18th century and then by Gaetano Genovese. 40.86346514.2654636 Albergo dei Poveri (Bourbon Hospice for the Poor), Piazza Carlo III. M-F 09:00-22:00, Sa 09:00-13:00. A former public hospital/almshouse. It was designed by the architect Ferdinando Fuga, and construction was started in 1751. It is five storeys tall and about 300 m long. It was popularly known as "Palazzo Fuga". King Charles III of the House of Bourbon meant the facility to house the destitute and ill, as well as to provide a self-sufficient community where the poor would live and work. The building was designed with five courtyards and a church in the centre, but only the three innermost courtyards were built, and plans to complete the building according to the original design were finally abandoned in 1819. It is no longer a hospital, and has suffered much from neglect and earthquakes. The centre behind the entrance is now used for exhibitions, conferences, and concerts. 40.856814.254437 Palazzo dello Spagnolo (Palace of the Spaniard), Via Vergini, 19 (Cavour 2 ). A late-baroque palace built in 1738 in Rione Sanità, famous for its monumental courtyard staircases with arches in shifting places. 40.839714.248638 Palazzo Zevallos (Palazzo Colonna di Stigliano), Via Toledo, 185 (Municipio 1 ), toll-free: +39 800 454 229, e-mail: info@palazzozevallos.com. Tu-F 10:00-18:00, Sa Su 10:00-20:00. Elegant palace built in 1639 by the noble Spanish family Zevallos. It houses a rich art gallery comprising sculptures and paintings from 17th to 19th century, some of them realized by artists of the School of Posillipo. €12 full; €3 reduced. 40.84823314.25501539 Palazzo di Sangro di Casacalenda, Piazza San Domenico Maggiore. 09:00-18:00. 3-stores palace built during the second half of 18th century by the architect Mario Gioffredo. The internal courtyard was designed by Luigi Vanvitelli and features a four-arch portico and Doric order lesenes. 40.837514.2494441 Real Teatro San Carlo (Royal Theatre of Saint Charles), Via San Carlo, 98/F (Municipio 1 ; beside the Royal Palace. ), ☎ +39 081 797 2331, e-mail: biglietteria@teatrosancarlo.it. M-Sa 10:00-17:30, Su 10:00-14:00. Founded in 1737, is the oldest continuously active opera house in Europe. In the 18th century, Naples was the capital of European music, and even foreign composers like Hasse, Haydn, Johann Christian Bach and Gluck considered the performance of their compositions at the San Carlo theatre as the goal of their career. Two main Italian opera composers, Gioacchino Rossini and Gaetano Donizetti, were artistic directors of the San Carlo for many years. Other prominent opera composers, like Vincenzo Bellini, Giuseppe Verdi, Giacomo Puccini, Pietro Mascagni, and Leoncavallo, staged here the very first productions of their works (like for example the famous Lucia di Lammermoor by Donizetti). 40.85114.2508352 Teatro Bellini (Bellini Theatre), Via Conte di Ruvo, 14 (Museo 1 2 ; two blocks south of National Archaeological Museum), ☎ +39 081 549 1266, e-mail: botteghino@teatrobellini.it. 10:30-13:30, 16:00-19:00. Built in 1878 and named after the Sicilian composer Vincenzo Bellini, the Bellini Theatre hosted prestigious events such as operas for almost a century. In 1960s a period of decline started for the structure, that became a sort of cheap movie cinema, away from the splendor of its origins. In 1986 the theatre was restored and reopened two years later, starting a lucky phase that lasts even today. 40.838914.24773 Teatro Augusteo, Piazzetta Duca d'Aosta (Augusteo Centrale ; in front of Galleria Umberto I), ☎ +39 081 414 243, e-mail: botteghinoaugusteo@libero.it. A theatre designed by Pier Luigi Nervi in 1929 and built inside a 18th-century noble palace, along the central Via Toledo. The structure was closed during World War II and reopened during 1950s as a cinema, until it was finally restored in 1992 to resume its status of elegant theatre. It now has a seating capacity of 1,420 and hosted the performances of famous actors and musicians like Bruce Springsteen. From €34.5 to €46. 40.79166714.1869444 Underwater Park of Gaiola (Parco Sommerso di Gaiola), Discesa Gaiola, ☎ +39 081 240 3235, e-mail: info@areamarinaprotettagaiola.it. winter daily 10:00-14:00, summer Tu-Su 10:00-16:00. Diving, snorkeling or trip on glass-bottomed boat "Aquavision" in the marine protected area of the minor island of Gaiola, off Posillipo elegant quarter. Just choose your favorite way to discover this stretch of coastline and the surprising abundance of colored marine life beneath the limpid waters of the Gulf. Various options are available on the official site. 40.8670614.2395335 accordi @ Disaccordi Open Air Cinema Festival (info@accordiedisaccordi.com), Viale del Poggio di Capodimonte, ☎ +39 081 549 1838. 21:10. If you are in Naples during summertime, don't miss the chance to experience the cinema beneath the stars on warm nights, in an amphiteatre equipped with one of the widest projection screens in Italy which rises having an artificial lake all around. These events really make people revive the movies each night of the festival! €4 per day. 40.80817714.1594946 Pontile di Bagnoli, Via Coroglio, 28-30 (Bagnoli Cumana ). 08:00-19:00. A walk of 900 m (½ mile) suspended on the waters of the Gulf of Pozzuoli, along a concrete pier built in 1962 to serve a former steel mill, closed in 1993 and now dismantled. Enjoy a relaxing stroll surrounded by the stunning view of Cape Miseno and the islands of Nisida, Ischia and Procida. Free. Walk from Piazza del Plebiscito to Castel dell'Ovo along the balcony of 40.83360414.2518497 Via Cesario Console and enjoy the view over the Royal Palace, cruise ships docked, Mount Vesuvius and the Sorrento peninsula. , a large public garden in front of the long promenade of 40.83174314.2399939 Via Caracciolo, decorated with statues and fountains, and surrounded by palms, stone pines and lime trees. , a panoramic public garden in Posillipo with a truly stunning view. Naples has vibrant markets and many small shops that sell everything from clothes to household appliances at prices much lower than in most of Western Europe. Especially to be seen is the 40.85029714.2679321 Porta Nolana, 40.84635914.2476632 Pignasecca and the Vasto markets, which also give a grasp of popular Neapolitan life. Don't miss the impromptu fish market which happens especially on Sunday morning at 40.8317214.2305023 Rotonda Diaz, the central square of Via Caracciolo. Small fishing boats come ashore, and directly sell fresh and often alive fish and octopuses, a very characteristic and joyful scene of Naples' life. 40.8498214.263281 Da Michele, Via Cesare Sersale, 1-3, ☎ +39 081 553 9204. 11:00-22:30. There is usually a queue - get a numbered ticket from the waiter at the door when you arrive. The pizzas are cooked quickly, and they expect you to vacate seats just as quickly. 40.8367114.246762 Pizzeria Brandi, Salita Sant'Anna di Palazzo, 1-2 (Chiaia Str. closer to Plebiscito Square), ☎ +39 081 416928. A stone tablet displayed outside the restaurant explains the history of the first pizza margherita, allegedly created here. 40.8558714.246353 Pizzeria Starita, Via Materdei, 27 (Materdei 1 ), ☎ +39 081 557-3682. 12:00-03:00. Close to de-crowning Da Michele as the best pizzas in Naples. 40.8500214.263724 Trianon da Ciro, Via Pietro Colletta, 44/46 (just in front of Da Michele). The pizzas are less soupy and with crispier crusts. 40.8513814.257975 Di Matteo, Via dei Tribunali, 94, ☎ +39 081 455 262, e-mail: info@pizzeriadimatteo.com. 09:00-00:00. Il presidente, Sorbillo, and his sister, a few doors away (informally known as "la vecchia", the old lady, from the owner of the pizzeria, a very small place with only 4 or 5 tables, that looks like a pizzeria of 50 years ago - very hard to find, but it's worth it!) You can get pizzas to eat on the go. €1. 40.83375914.2313219 Gran Bar Riviera, Riviera di Chiaia, 181, ☎ +39 081 665 026. 06:00-22:00. Excellent sweet specialties, including zeppole, sfogliatelle and babà. 40.84821314.25482411 Pasticceria Scaturchio, Piazza San Domenico Maggiore, 19 (adjoining to Piazza del Gesù), ☎ +39 081 551 7031, e-mail: info@scaturchio.it. 08:00-21:00. 40.83672214.2484441 Gran Caffè Gambrinus, Via Chiaia, 1/2 (beside Piazza del Plebiscito and San Carlo Theatre), ☎ +39 081 41 7582, e-mail: info@grancaffegambrinus.com. 07:00-01:00. Enjoy the special Neapolitan coffee in one of the most prestigious and famous cafes in Italy. Founded in 1860 in the rear of Palazzo delle Prefettura, the cafe was also known for being a meeting site for intellectuals, artists and politicians. 40.81288914.1659559 Arenile di Bagnoli, Via Coroglio, 14/B (Bagnoli Cumana ), ☎ +39 081 570 6035. Beach club with pool and solarium by day, vibrant disco by night. Various live performances of international DJs. 40.8532140.8532110 Disco Mon Amour, Salita Arenella, 41 (Medaglie d'Oro 1 ), ☎ +39 340 531 9160, e-mail: vittorio.falco@facebook.com. W 22:00-03:00, F 23:00-03:30, Sa 23:00-04:30, Su 22:30-04:00. 40.80055214.17455311 Riva Club, Via Coroglio, 154 (bus 607, Bagnoli district), ☎ +39 333 640 9787, e-mail: rivasummerclub@gmail.com. Seaside disco with an elegant and modern atmosphere, located in front of the island of Nisida. 40.84551814.2502711 6 Small Rooms Hostel & Guesthouse, Via Diodato Lioy, 18 (Dante 1 ), ☎ +39 081 790 1378, e-mail: info@6smallrooms.com. A great hostel with private rooms in the middle of the historical center of Naples. Clean, cozy and friendly. Cooking facilities, English speaking staff, DVDs, fridges, book exchange, tourist info and maps. It can be difficult to find, so keep their phone number in case you get lost. 40.85188914.2657872 Hostel Mancini Naples (hostel pensione mancini), Via Pasquale Stanislao Mancini, 33 (Garibaldi 1 ), ☎ +39 081 553 67 31, fax: +39 081 553 6731, e-mail: info@hostelmancininaples.com. Check-in: 24 hr, check-out: 10:00. Cheap hostel in front of the Central Railway Station in Naples City Centre. Free Wi-Fi and breakfast. Free kitchen for guest use. Beds from €15 and rooms from €35. 40.82081114.205983 Bed and Breakfast La Bouganville, Via Alessandro Manzoni, 155, ☎ +39 081 769 2205, +39 338 222 7842 (Mob), e-mail: info@labouganville.com. 40.84632214.2489224 B&B Naples I Visconti, Via Pasquale Scura, 77 (Dante 1 ), ☎ +39 081 5529 124, e-mail: info@napolibandb.it. New rooms, comfortable, convenient to downtown Naples. Prices from €35 single use. Wi-fi and DVDs. 40.85143914.2596715 Dei Decumani bed & breakfast, Via Duomo, 187, ☎ +39 081 440 648, e-mail: mail@deidecumani.it. One of the best bed and breakfasts in Naples in the historic centre. 40.84037214.2551616 Hostel of the Sun, Via Guglielmo Melisurgo, 15 (Municipio 1 ), ☎ +39 081 420 6393, e-mail: info@hostelnapoli.com. Refurbished in 2015, and in the centre of town. Clean, friendly and close to the ferries. Open 24 hours. Good kitchen, breakfast included, knowledgeable and multi-lingual staff, DVDs, satellite TV, small library, free Internet, etc. Dorm bed €18, double €55, ensuite double €70, triple €80, ensuite €90, quadruple €90..
40.85298214.2667547 Hotel San Giorgio Napoli, Via Alessandro Poerio, 9 (Garibaldi 1 ), ☎ +39 081 281 661, e-mail: albergosangiorgio@inwind.com. Renovated 3-star. Central location but noisy. 40.85489414.2711278 Hotel Speranza, Via Palermo, 31 (Piazza Garibaldi 2 ), ☎ +39 081 269 286-99. Has seen better days and not in the best neighbourhood, but it's clean, cheap, and close to the train station. €45 for a double room with bath. 40.85151614.2695089 Potenza Hotel, Piazza Garibaldi, 120 (Garibaldi 1 ), ☎ +39 081 286 330, e-mail: info@hotelpotenza.com. Informal hotel near the central railway station. 40.83830814.24930210 Art Resort Galleria Umberto Napoli, Galleria Umberto I, 83, ☎ +39 081 497 6224, e-mail: booking@hotelgalleriaumberto.com. 4-star hotel in the Galleria Umberto I, furnished with a patrician house style of the 19th century. Opened in 2015. 40.85217814.26027212 Caravaggio Hotel Napoli, Piazza Cardinale Sisto Riario Sforza, 157, ☎ +39 081 211 0066, e-mail: info@caravaggiohotel.it. 4-star hotel near the Cathedral, in front of the obelisk of St. Januarius. 40.8427214.23361515 Hotel Cimarosa, Via Domenico Cimarosa, 29 (Piazza Fuga Centrale ), ☎ +39 081 556 7044, fax: +39 081 578 2852, e-mail: info@hotelcimarosa.it. Elegant hotel on the hillside of the Vomero neighborhood. This Naples guide is heavily frequented by business owners keen on adding their own hotel or rental agency. While the worst of them are removed on a regular basis, you should always check other reviews before committing. Many unscrupulous hotel owners are also busy creating false reviews of their accommodation on other well-known travel sites - so tread carefully! 40.85456514.27119817 Hotel Eden Naples Italy, Corso Novara, 9 (Piazza Garibaldi 2 ), ☎ +39 081 554 6666, fax: +39 081 281 983, e-mail: info@hoteledennapoli.it. This hotel was reopened at the beginning of November 2005 after a massive reconstruction supervised by the architect Raffaele Zucchi, design engineer of the twin building Hotel Clarean. 40.84795814.25547118 Hotel Europeo, Via Mezzocannone, 109 (near Piazza S. Domenico Maggiore), ☎ +39 081 551 7254, e-mail: info@hoteleuropeonapoli.com. Make sure to book early, as it literally can get booked out overnight. Most of the 27 rooms have telephone, free wireless internet, some satellite TV and are modern and clean, which is not given for all hotels in Naples. Very friendly, helpful and English speaking people there, too. Overall very nice place to be, which you wouldn't expect from the outside. Finding the entrance to this backyard hotel can be a little tricky. Coming from the Spaccanapoli follow Via Mezzocannone down for about 40 metres, entrance is right of a café – both inside a little patio. 40.85197714.2669919 Hotel Garibaldi, Via Pasquale Stanislao Mancini, 11 (Garibaldi 1 ), ☎ +39 081 563 0656, e-mail: info@hotelgaribaldinapoli.com. Near the central station. Rooms are spacious and very clean. Staff is friendly. Prices begin from €60 for a double room with bathroom, satellite TV, safe, aircon and Italian-style breakfast. 40.8516914.2707320 Hotel Ideal, Piazza Garibaldi, 99 (Garibaldi 1 ; 100m from central station), ☎ +39 081 202 246, fax: +39 081 285 942, e-mail: info@albergoideal.it. Hotel is clean and cheap, staff are friendly and helpful. Breakfast included. 40.85318714.26807821 Hotel Nuovo Rebecchino, Corso Garibaldi, 356 (Garibaldi 1 ), ☎ +39 081 553 5327. Three-star hotel, one of the oldest in the city of Naples and restored in 2015. 40.81708714.17578622 Hotel Nuvò, Via Nuova Agnano, 5 (Agnano Cumana ), ☎ +39 081 195 66566, e-mail: info@hotelnuvo.it. Four-star hotel with comfortable and soundproof rooms, satellite TV, internet, minibar, air conditioning. 40.850540114.25183323 Hotel Piazza Bellini, Via S.M. di Costantinopoli, 101 (Dante 1 ), ☎ +39 081 451 732, e-mail: info@hotelpiazzabellini.com. Near San Gregorio Armeno church and university. Breakfast included. Starting from €58. 40.84240914.24759524 Hotel Toledo Napoli, Via Montecalvario, 15 (Toledo 1 ), ☎ +39 081 406 800, fax: +39 081 406 800. In an ancient three-storey building dated 1725, with elevator, in the new modern style of furnishings in the centre of Naples. 40.8723914.30160825 Le Chemineè Business hotel Napoli, Via Stadera, 91, ☎ +39 081 584 6651, e-mail: info@lecheminee.com. This is the building that housed the old "Stingo" ceramic factory that was active in Naples from as early as the end of the 19th Century, into an elegant. It was restored and transformed into a modern 4-star hotel. 40.85071414.25652326 Tribù B&B, Via dei Tribunali, 329, ☎ +39 081 454 793, +39 338 409 913, e-mail: tribunapoli@katamail.com. On a quiet patio in the middle of Spaccanapoli, Naples' old town, this tasteful bed & breakfast also doubles as an arts showroom. Breakfast is served on a nice terrace by the couple of young architects that own the place. Rooms €60-100. 40.83702114.23269627 B&B Amedeo, Via Francesco Crispi, 26 (Piazza Amedeo 2 ), ☎ +39 320 069 7484, e-mail: federicovolpe@bbamedeo.it. Single €50-60, double €70-80, triple room €90-100 (including breakfast). Prices are per room. 40.82995214.24908929 Grand Hotel Santa Lucia, Via Partenope, 46, ☎ +39 081 764 0666, toll-free: +39 081 764 8580, e-mail: info@santalucia.it. Elegant hotel on the waterfront, in front of Castel dell'Ovo and the tourist port of Santa Lucia. 40.8243214.2151231 Hotel Paradiso, Via Catullo, 11 (In Posillipo), ☎ +39 081 247 5111, fax: +39 081 761 3449, e-mail: info@hotelparadisonapoli.it. €160 for a double room with a balcony. 40.83664714.2335532 Hotel Pinto Storey, Via Giuseppe Martucci, 72 (Piazza Amedeo 2 ), ☎ +39 081 681 260, fax: +39 081-667536, e-mail: info@pintostorey.it. An Art Nouveau building in Chiaia district, few steps from Piazza Amedeo. For a double room prices are from €110 on, depending on the season..
40.84958114.25053633 Portalba Relais, Via Portalba, 33 (Dante 1 ), ☎ +39 081 564 5171, fax: +39 081 5443703, e-mail: info@portalbarelais.com. Bed & breakfast in the historic centre, few steps from Piazza Dante. 40.84056514.25579634 Romeo Hotel, Via Cristoforo Colombo, 45 (Municipio 1 ), ☎ +39 081 017 5001, e-mail: welcome@romeohotel.it. Five-star boutique hotel on the waterfront in the historic centre, few steps away from the port. Austria, Via Giuseppe Ricciardi, 10, ☎ +39 081 553 4372, fax: +39 081 553 4372, e-mail: consolatoaustria.napoli@gmail.com. M-F 10:00-12:00. Bangladesh, Via Petrarca, 50, ☎ +39 081 832 6111, fax: +39 081 832 6225, e-mail: consolato.bangladesh@bellieforti.com. M-F 10:00-12:00. Belarus, Centro Direzionale, isola A5, ☎ +39 081 787 5072, e-mail: consolato.bielorussia.napoli@gmail.com. M-F 09:00-17:00. Belgium, Via Alcide De Gasperi, 55, ☎ +39 081 551 2111, fax: +39 081 551 2114, e-mail: cons-belgio-napoli@libero.it. M-F 09:00-13:00. Benin, Galleria Umberto I, 50, ☎ +39 081 417 023, e-mail: segreteria@beninconsolatonapoli.it. M-F 09:00-13:00. Bolivia, Via Duomo, 348, ☎ +39 081 287 607. M-F 09:00-17:00. Brazil, Via Francesco Giordani, 23, e-mail: info@consbrasnapoli.it. Tu Th 10:00-12:00. Bulgaria, Via Chiatamone, 63, ☎ +39 081 245 2234, fax: +39 081 245 2234, e-mail: avv.famiglietti@libero.it. M-F 09:30-14:00 and 15:00-19:30. Burkina Faso, Via Vittorio Imbriani, 48, ☎ +39 081 658 0856, fax: +39 081 195 73382, e-mail: jf@fastwebnet.it. M-F 09:30-12:00. Cameroon, Calata Villa del Popolo, 12, ☎ +39 081 262 166, fax: +39 081 282 979, e-mail: albertosalvatori48@libero.it. M-F 09:00-13:00. Cape Verde, Via Torino, 6, ☎ +39 081 264 909, fax: +39 081 554 4930, e-mail: giuseppericciulli@virgilio.it. M-F 09:00-13:00 and 15:00-19:00. Colombia, Via Stazio, 3, ☎ +39 081 714 4537, fax: +39 081 714 1919, e-mail: SLmaione@libero.it. M-F 16:00-19:30. Czech Republic, Corso Umberto I, 275, ☎ +39 081 268 784, fax: +39 081 267 336, e-mail: a_ruoppolo@virgilio.it. M-F 10:00-12:00. Cyprus, Via Guglielmo Melisurgo, 15, ☎ +39 081 552 1276, fax: +39 081 552 3878, e-mail: consulate@pappalardogroup.it. M-F 09:00-13:00. Denmark, Piazzale Stazione Marittima (Interno porto), ☎ +39 081 551 2211, fax: +39 081 551 2947, e-mail: consulate@klingenberg.it. M-F 08:30-12:30. Dominican Republic, Via Generale Orsini, 42, ☎ +39 081 764 8867, e-mail: consuladodominicano@katamail.com. Ecuador, Via Francesco Crispi, 21, ☎ +39 342 760 4648, fax: +39 081 761 8273, e-mail: mariagrazia.alvarez@alice.it. by appointment only. Estonia, Via Agostino Depretis, 19, ☎ +39 081 551 4510, fax: +39 081 552 8292, e-mail: studio-forte@libero.it. Tu Th 10:00-12:00. Finland, Piazzale Stazione Marittima (Interno porto), ☎ +39 081 551 2211, fax: +39 081 551 2947, e-mail: consulate@klingenberg.it. M-F 08:30-13:00. France, Via Francesco Crispi, 86, ☎ +39 081 598 0711, fax: +39 081 598 0730, e-mail: cogefrna@tin.it. M-F 08:30-12:30. Germany, Via Medina, 40, ☎ +39 081 248 8511, e-mail: neapel@hk-diplo.de. M-F 08:30-12:00. Greece, Corso Vittorio Emanuele, 86, ☎ +39 081 761 2466, fax: +39 081 669 880, e-mail: congreco.na@gmail.com. M-F 10:00-14:00. Guatemala, Piazza dei Martiri, 30, ☎ +39 081 764 3032, +39 347 331 2635, e-mail: consulguat.napoles@libero.it. Guinea, Corso Meridionale, 39, ☎ +39 081 264 829, fax: +39 081 264 829, +39 081 757 0595, e-mail: info@entimarcopolo.it. Honduras, Via Ponte dei Francesi, 35, ☎ +39 081 559 0289, fax: +39 081 559 9186, e-mail: consuladohondurasnapoles@virgilio.it. M-Th 10:00-13:00 and 15:00-17:00. Hungary, Via Toledo, 156, ☎ +39 081 551 1115, fax: +39 081 552 3953, e-mail: consolato.ungheria@virgilio.it. M-F 09:00-13:00 and 16:00-19:30. Iceland, Via Francesco Petrarca, 93, ☎ +39 081 575 2108, fax: +39 081 575 3083, e-mail: geminente@unifrigo.it. M-F 08:00-13:00. Indonesia, Via Parco Comola Ricci, 39, ☎ +39 081 012 5521, fax: +39 081 032 1138, e-mail: consolatoindonesia@alice.it. M-F 09:00-13:00. Ivory Coast, Corso Umberto I, 259, ☎ +39 081 26 1755, fax: +39 081 26 6370, e-mail: leonardodiiorio@alice.it. M W F 09:00-13:00. Japan, Via Nuova Ponte di Tappia, 82, ☎ +39 081 552 1573, fax: +39 081 214 1187. M-F 09:00-13:00 and 17:00-19:00. Kazakhstan, Calata San Marco, 13, ☎ +39 081 060 9174, fax: +39 081 214 0448, e-mail: consul.kazakhstan@gmail.com. M-F 09:30-13:00. Latvia, Via Andrea d'Isernia, 38, ☎ +39 081 761 2002, fax: +39 081 68 0473, e-mail: latvianconsulatenaples@gmail.com. M-F 09:30-13:00. Lithuania, Riviera di Chiaia, 33, ☎ +39 335 768 3208, fax: +39 081 663 949, e-mail: consolatolituania.napoli@gmail.com. Tu Th Sa 15:00-18:00 and 10:00-12:00. Luxembourg, Via S. Brigida, 51, ☎ +39 081 551 0060, fax: +39 081 551 3138, e-mail: consolatolux@gmail.com. M Th F 10:00-14:00. Malaysia, Via Francesco Paolo Michetti, 8, ☎ +39 081 552 9666, fax: +39 081 423 1458, e-mail: malaysiaconsulatenapoli@virgilio.it. Mauritania, Via Posillipo, 382, ☎ +39 081 575 0921, e-mail: consolato.mauritania@gmail.com. M W 15:00-17:00. Mexico, Largo Sermoneta, 22, ☎ +39 081 575 1185, fax: +39 081 575 1025. M-F 10:00-13:00 wnd 16:00-18:00. Monaco, Via Scipione Capece, 10H, ☎ +39 081 575 2520, fax: +39 081 666 688, e-mail: mbruno@deloitte.it. M-F 09:00-12:00. Montenegro, Via Gaetano Filangieri, 21, ☎ +39 081 764 8352, e-mail: consolatomontenegro.napoli@gmail.com. 09:00-13:00 and 16:00-20:00. Morocco, Via Agostino Depretis, 102/114, ☎ +39 081 580 2057, e-mail: consolatomarocco@pomicino.it. M-F 09:00-13:00. Netherlands, Via Agostino Depretis, 51, ☎ +39 081 551 3003, fax: +39 081 551 0776, e-mail: studiocastaldo@studiocastaldo.net. 10:00-12:00 and 16:00-18:00. Nicaragua, Via Francesco Solimena, 155, ☎ +39 081 183 62595, e-mail: consolatonicaraguana@gmail.com. M-F 17:00-20:00. Niger, Galleria Umberto I, 27, ☎ +39 081 40 5200, fax: +39 081 552 5528, e-mail: info@consolatoniger.it. M-F 10:00-12:00. Norway, Piazzale Stazione Marittima, ☎ +39 081 551 2211, fax: +39 081 551 2947, e-mail: consulate@klgroup.it. M-F 08:30-12:30. Panama, Via Duomo, 319, ☎ +39 081 602 8540, fax: +39 081 606 3004, e-mail: consulpa@panamaconsulna.it. M-F 09:00-13:00 and 14:00-17:00. Paraguay, Viale Antonio Gramsci, 18, ☎ +39 081 761 6383, fax: +39 081 761 6373, e-mail: glaurini@notariato.it. M-F 09:30-13:30 and 16:00-19:30. Peru, Via Santa Brigida, 51, ☎ +39 081 551 7062, fax: +39 081 551 3138, e-mail: info@conpernapoles.com. M-F 15:30-17:30. Philippines, Via Cardinale Guglielmo Sanfelice, 24, ☎ +39 081 497 7155, fax: +39 081 497 7170, e-mail: consolatodellefilippine@studiogiglio.org. M-W F 10:00-12:00, Th 15:00-17:00. Poland, Via Antonio Gramsci, 12, ☎ +39 081 660 009, fax: +39 081 240 4664, e-mail: segreteria@consolatopolonianapoli.com. Portugal, Via Nardones, 118, ☎ +39 081 413 540, fax: +39 081 404 409, e-mail: consptna@yahoo.it. Tu 15:30-18:30, Th 09:30-13:30 and 15:30-18:30. Romania, Via Generale Giordano Orsini, 42, ☎ +39 081 764 8356, fax: +39 081 764 8867, e-mail: consolatoromanianapoli@hotmail.it. M-F 09:00-13:00. Russia, Via Partenope, 1, ☎ +39 081 192 05031, fax: +39 081 191 06731, e-mail: info@consolatorussianapoli.it. 09:00-13:00. Spain, Via dei Mille, 40, ☎ +39 081 414 115, fax: +39 081 401 643, e-mail: cog.napoles@maec.es. M-F 09:00-13:00. Sri Lanka, Via Bartolomeo Caracciolo Detto Carafa, ☎ +39 081 019 2173, fax: +39 081 564 6687, e-mail: consolato.srilanka.campania@gmail.com. Th 16:00-19:00, Sa Su 10:00-13:00 and 16:00-19:00. Switzerland, Via Consalvo Carelli, 7, ☎ +39 335 831 5257, fax: +39 081 578 5594, e-mail: napoli@honrep.ch. Tunisia, Centro Direzionale, isola F10, ☎ +39 081 734 5171, fax: +39 081 734 5163, e-mail: ct.naples@libero.it. T-F 08:30-15:30, Sa 08:30-14:30. Ukraine, Via Giovanni Porzio, 4 (Centro Direzionale, isola B3), ☎ +39 081 787 5433, fax: +39 081 605 7867, e-mail: gc_itn@mfa.gov.ua. M Tu Th F 09:15-13:00 and 15:00-17:00. Uruguay, Gradoni di Chiaia, 10, ☎ +39 081 405 478, e-mail: conurunap@libero.it. M-F 09:00-13:00. Venezuela, Via Agostino Depretis, 102, ☎ +39 081 551 6790, fax: +39 081 542 2846, e-mail: consular.napoles@mppre.gob.ve. M-F 08:30-16:20. 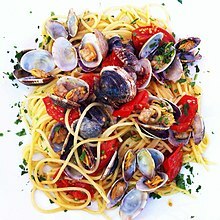 This city travel guide to Naples has guide status. It has a variety of good, quality information including hotels, restaurants, attractions and travel details. Please contribute and help us make it a star!